A technology’s success or failure is not proportional to the existence of an executive sponsor, solid requirements, or even a deliberately crafted business case. Instead it de­pends on the existence of rigorous processes and dedicated skills to implement and maintain it. 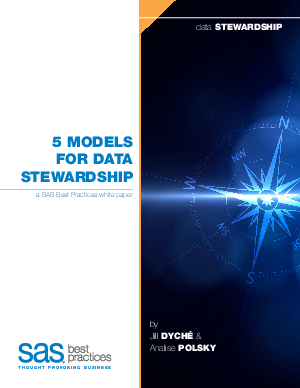 When it comes to the aforementioned solutions, data stewardship is seen as the glue that binds heterogeneous information – ensuring common, meaningful data across applications and systems. It seems obvious that data stewardship is important to the business. However, is it really a critical success factor?